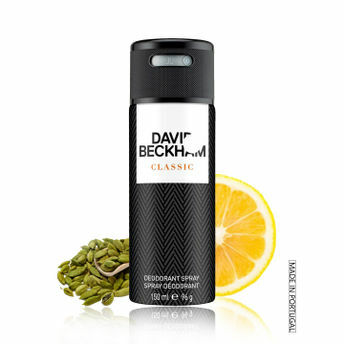 Designed for men David Beckham Classic Deodorant Spray has woody aromatic fragrance. The pleasant scent keeps you fresh for all day long. Actively works to kill the bacteria that causes body odor. Reduces sweat odor and replaces it with a strong, zeasty scent. It is a rich blend of citrus gin and tonic along with lime and galbanum notes.